...So why do most senior activity programs fall short of getting residents fully engaged in their activities? Unfortunately, these never-ending administrative tasks can cause a sense of overwhelm where you find it virtually impossible to find the time to create activities that target your residents' specific needs. ...So where can you find new activity ideas that will meet your residents' needs, keep your activity staff engaged, and still cut your activity-planning time in half? Right Here – at notjustbingo.com! We have been providing fun activity ideas online since 2009, and we continue to assist activity professionals across the country by creating fun and engaging activity ideas for their residents that go "beyond bingo." Don't get us wrong – bingo is fun, but we want to spread the word that there is more to life than just bingo. It is our privilege to provide targeted activity ideas to help activity directors better the living experiences of their residents while demonstrating that a senior's quality of life can actually improve when they move to a nursing facility. Your residents will have more fun and be entertained with the new, targeted activity ideas (which may mean fewer resident complaints and a more active community). Your fellow department heads will appreciate the new buzz and energy in your program (which may translate to more department resources to keep up the excitement). After all, it's much easier to "sell" the facility to visitors when they see happy and engaged residents. Your staff will be more engaged in activities that are new and different and will want to become more involved with making your activity program better (which may allow you to delegate more). You will plan your monthly activity calendars more quickly by accessing easy-to-use activity ideas and plugging in the ones that work for your residents (which may reduce your overall activity-planning time). Your residents' family members will be satisfied with the new, targeted activities for their loved ones (which may generate fewer family complaints about unfulfilled residents). Your one-on-one activity program will receive a surge of new and interesting ideas that will get your residents excited about participating in activities again (which may provide for an easier transition for those residents to move to small-group activities, thereby reducing the number of one-on-one activities that must be provided for them). Your volunteers will enjoy being a part of a thriving and active activity program with fun ideas and happy residents (which may provide for more repeat volunteers). Your bedside residents will enjoy the targeted activities that they can participate in (which may have them looking forward to something new and different each time, thereby increasing their quality of life). 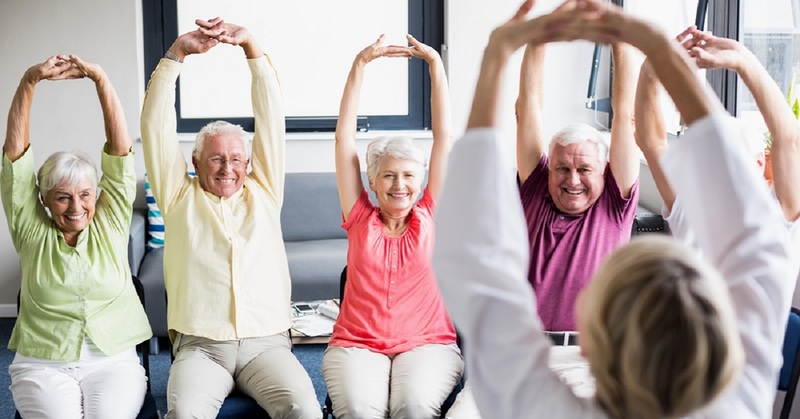 You will be satisfied that you are meeting the needs of more of your residents – not just those who attend the large-group activities (which may ease your own worries and frustrations). Thank you for your fabulous service...I will always recommend others to use your site for great ideas and inspiration! Couldn't have done it without you! I love this website. I am having such a great time creating calendars for our residents and my bosses are impressed with the creativity. Thank you so much! I love not just bingo. I'm new to the activities department and needed help creating a fun activity schedule for my residents. When I discovered your site I was in heaven. I can't wait to check out the next month's calendar...We are having so much fun with this site. I thank you so much. NOT JUST BINGO is one resource I depend on for ideas on what to incorporate on each month's activity calendar...I have an Activity Consultant who visits occasionally. She is very impressed with my calendars and asked where I get ideas from. "I get a lot from NOT JUST BINGO.COM" is what I said and she said that she hears good things about it from the other 52 facilities she consults with. I refer people to your site often and truly think that it is one of the best I have come across...Thank you for your time and dedication to improving the lives of our seniors and giving them a quality of life. You provide a great deal of joy! find the ideas that you need for a particular day. The calendars are available online inside a membership site with password-protected pages, so you can freely access them at times that are convenient for you. The calendars are easily accessible on desktops, tablets, and mobile phones. To assist with your need to plan ahead, our annual membership receives access to three months of calendars at one time. Our newest calendars are posted by the 25th for monthly members (so as a monthly member you will have access to June's activity calendars by April 25th) and are posted on the 1st for annual members (so as an annual member you will have access to July's activity calendars on May 1st). Our specialized calendars' (dementia, male, and weekly-themed) activities are clearly labeled based on activity types, which allows you to quickly find activities of interest and plug them into your own activity calendar. When you sign up for our membership, you have immediate access to the current month's activity calendars and the following month's activity calendars (unless you're an annual member, in which case you will have immediate access to the current month's activity calendars and the following two months' activity calendars). We do not provide archived activity ideas or activity calendars. We work exclusively with PayPal for our online billing payments; therefore, all financial information is submitted only to PayPal. We at Not Just Bingo do not have access to your financial information. PayPal makes it easy for you or your facility to pay via credit cards, PayPal cards, from a bank account, or with a PayPal balance (where you can add money to your PayPal account from your bank account). Both the monthly and annual memberships that are offered via PayPal are recurring memberships, in which you are automatically charged by PayPal at the end of each term (month or year) until you decide to cancel. along with our W-9 form and our mailing address. Step 2: Keep the W-9 form for your records, and write your invoice number on your check for $192 before mailing it to our address. Step 3: Meanwhile, reply to our email with the username and email address that you want associated with the new account. Once we receive payment in the mail, we will set up your account using that information. We will then email you notice that you can begin using the membership. sample calendars above to find activity ideas that may be appropriate for your residents. Plug those ideas into your existing activity calendar and try them out for a month. to targeted ideas for your residents – each and every month. Step #1: Go to the Not Just Bingo members page to sign up for the membership that you want (monthly or annual). Step #2: After clicking the "Subscribe" button on the members page, you will automatically be redirected to the PayPal site where you will enter your or your facility's billing information. Don't waste another month or suffer through another complaint-filled Monday morning about another "slow and boring weekend." fulfilled residents – while cutting your activity-planning time in half! your activity program much success! Finally...have fun with your residents, get them excited again about their golden years, and most importantly, stay inspired! See Contact for more information about online billing or our invoice process. See About for more information about us and why we do what we do. Sign up for the Not Just Bingo membership to access hundreds of activity ideas that you can add to your senior activity program today!